Northblue Blueberry - Fruiting Plants | Michigan Bulb Co. 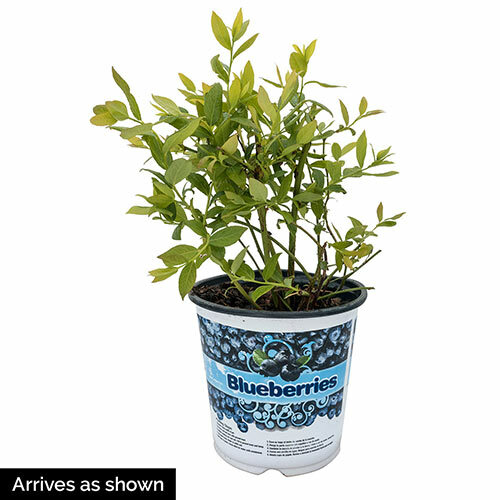 This blueberry variety is a great for gardeners who are tight on growing space. Each mature bush is only 2–3' high, which is slightly larger than Tophat and Northsky, but still yields 3–7 lbs of sweet, delicious fruit! The dusky-blue berries ripen in mid-June and are larger than the fruit of most dwarf blueberries. They are also cold hardy, withstanding temperatures down to -35°F. 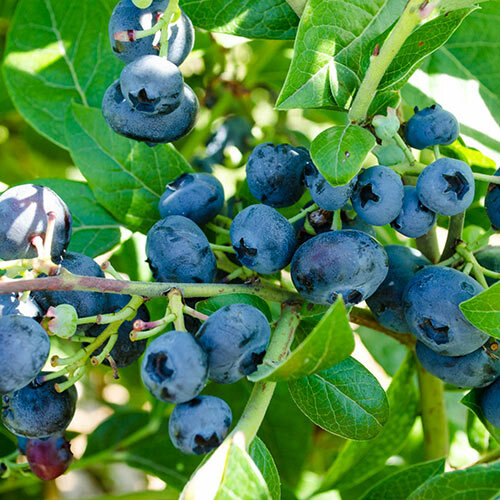 Northblue Blueberry grows best when planted in well-drained, acidic soil and receives full sun. Available in a gallon pot, ready to plant, and shipping now. Zones 3-7.